Bella who? Kristen Stewart shows she’s determined to put Twilight firmly behind her in new gritty flick Welcome to the Rileys, which sees her playing an underage stripper. And there’s no denying it’s a far stretch from the on-screen alter ego which shot her to fame. SEE KRISTEN STEWART’S STYLE HIGHS & LOWS HERE! 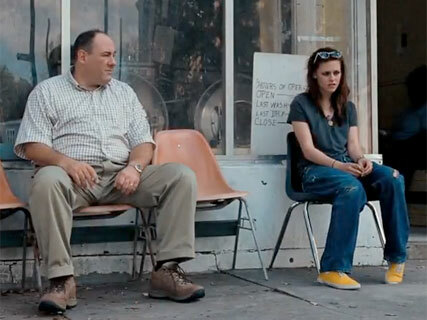 Kristen stars opposite The Soprano’s James Gandolfini and Oscar-nominated Melissa Leo in the film – who play a married couple struggling to cope with the loss of their teenage daughter. 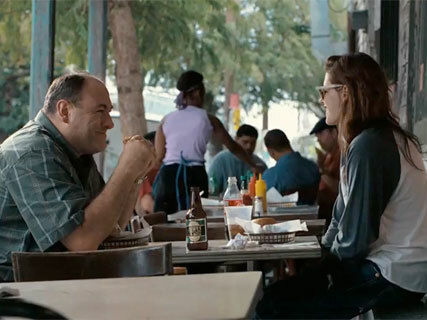 Gandolfini befriends Kristen’s character – a lost, runaway stripper – eventually caring for her as if she were his own child, in an effort to cope with his grief. Having previewed at the Sundance Film Festival to rave reviews, we’re expecting great things from the independent film, which is set to hit Stateside cinemas in November, but has yet to be given it’s UK release date. FROM CHILD STAR TO TWILIGHT ICON, SEE KRISTEN’S STYLE HISTORY HERE!